Prodatron released a new beta release of SymbOS last Sunday. SymbOS is a graphical user interface (GUI) based multitasking operating system for Z80 based supported home computers. SymbOS provides true Multitasking and a complete windows like GUI. The new SymbOS 3.0 beta release comes now with Ethernet (network) support for our beloved MSX! It seems that network support is introducing a complete new world for a multitasking environment on a 8-bit Z80 machines. The amount of possibilities is still crazy! There already some interesting new network applications in this new beta preview! SYMBOS 3.0 BETA What is included? If you want to give this SymbOS beta release a try we would be very happy if you report any issues with this release on the forum so bugs can be removed before the final release. If you have SymbOS 2.1 already installed you can simply replace the files in your SymbOS directory (from the package) If you don’t have SymbOS installed please install SymbOS 2.1 first and then simply replace the files afterwards. prodatron you are a hero and not to forget about the helping hands. This amazing project just keeps getting better and better and there is no giving up on it. Amazing! what Deamos said. Ad infinitum. Thanks so much, and yes, without Trebmint and EdoZ this wouldn't be possible at all. SymbOS development wouldn't work without Trebmints Unify IDE (former SymStudio) and EdoZ fast application coding and QA at all! I am so glad, that they are on board! It's just fantastic! Kudos 4 everyone in the project! tomorrow I will give it a try! karloch found a bug during the update. If you upgrade your 2.1 system to 3 beta please disable SymbOS extensions first and save this in the control panel or by using the start-menu. After you disabled the extentions replace the files with the files in the beta package. Then start SymbOS again. As Prodatron and I already running a higher version of the extensions we didn't notice this. Or just delete "symexten.exe". It seems that it is currently not compatuble with the 3.0 (which comes with an advanced desktop). This is freakin awesome ! Now I am even more upset not to have a DenYoNet! 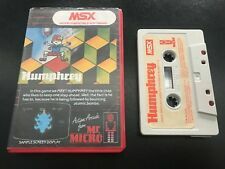 would this be the first game on the MSX that you can play through the internet? Question. I have a working symbos 2.1 verison. Copied the files in the zipfile from the beta over it. COpied the content of the msx directory, over the file in the main directory. I started it and still symbos 2.01 came up. Then I read this topic and deleted symexten.exe. Now, when I start it, and go to the help, it still says release 2.1. Am I doing something wrong ? The appinfo.exe hasnt been updated yet, which is always static regarding the version. You can see the real version when starting SymShell. hmm, doesn't say 3.0 beta, says 2.0 beta ? Okay, thanks for clearing this up. - Where can I obtain the multi color icons ? Are they included in the zipfile and if so, where can I find them ? - I have a directory with sgx files, but when I want to use them for background they aren't recognized. When I place them in the main root, they are. Is this a bug ? Are subdirectories not supported for background (desktop) pictures ? Here a preview screen shot as we showed last time in Nijmegen. About your background problem. I do not have that here. Did you define the complete path in the display settings ? Like c:\directory\picture.sgx ? There are some backgrounds in the download section on msx.org It is a good idea to make a nice collection of backgrounds next time. My sgx files are in the directory a:\symbos\graphics\misc\backgr1.sgx. They can be viewed with symsee (picture viewer). It select them by control panel, display. I can select them but the background stays blue. When selecting a sgx file in a:\symbos the are shown. So there is nothing wrong with the sgx files. Yeah, would be nice to have some 'official' symbos 3.0 backgrounds to choose from. I haven't played with the network yet, but I intend to this weekend. Strainge. I just created a subdirectory and again a subsirectory in my c:\symbos\ folder and copied move a SGX file to there. Next i added it as the background. Are you sure you did not select a background color ? And what happen if you switch between those ? Do you have your path and boot drive correct in the system icon in the control panel ? Which hardware do you use ? The length of the background picture path is limited to 32 chars. Sorry for not having an error message here, but I will add it! Yes, that was it. All together I had 37 chars I placed them in another folder and now it works An error message would be nice. Another question: Can the sim commander have a rename option. I tried to rename my folder but couldn't, so I had to create a new folder and move the files there. Also using the astrix (shift-8) to select all files in a folder would be a nice feature aswell. @TheKid: good idea I added it to the ToDo list, thank you! Can the sim commander have a rename option. Renaming works, when you do not select any files/directories (not even one) and press the "move" button. The file/directory below the current line can be renamed then. As soon as one or more files are selected ("inverted") SymCommander wants to move them to the destination in the other list. Where can I find/download the music you used in the very nice videoclip you made? There is no source code available for this OS, why? Do you expect to make money out of this @ some point? And what if they do ? You should be thankfull that all the work these guys put into this project is free to download as it is !! The most application are with source code included. When Unify is ready I will think about to give my sources to be open also. Maybe people could use it. Agreed... I'm thankful for any new MSX software released, with or without source. This OS is an impressive achievement. And for that, author(s) deserve all kudoz they're getting. That said, this OS could benefit greatly from having source code out there. For example, users could contribute source code patches directly. Rather than only report bugs, relying on 1 or 2 developers to investigate issues and code fixes + improvements. If author(s) lose interest for a while, development could continue. If author(s) lose interest permanently, project could continue regardless. With source code out there, the OS may go places where it wouldn't go otherwise. Etc, etc, etc. I can understand a commercial argument for keeping sources closed. But that makes NO SENSE WHATSOEVER given the targeted platforms with their limited user base. For example personally, I have no interest in contributing to a closed-source OS. I might have, if it were open source. Regardless whether small hobby OS or popular software. That's a potential contributor lost right there. Surely I'm not the only one who feels that way. So this is not criticism. Just a genuine puzzlement as to the reason(s) why sources for the OS itself aren't out there. @RetroTechie: Okay, I understand your point of view and I can relate to it. It really is a shame when a project isn't finshed because developpers lost interest or worse, the code is lost (wasn't that the case with the dune clone 'Dome'). I assume you're talking source for the OS rather than for apps. As Edo says source for apps has and will be supplied. However for the OS there is a very good reason and that is as we have already seen splintering. Prodatron is producing his OS to work across various different machines, and that's his goal. An application should be able to run on all the symbos targets excluding very specific apps like rom launchers etc... The problem being that if you release the source we then have MSX / CPC / Enterprise / Pcw coders all start to alter the source to be more hardware specific and ultimately you will end up with 4 / 5 or 10 different versions all of which will not run each others apps. It would be like a Linux issue but worse making developing harder. For instance if the source was available whats to stop me creating TrebOs which uses the MSX hardware sprites, meaning we can have much cooler games??? Okay it wont work for CPC and Enterprise anymore but who cares cos we're MSX users. There is also no commercial reason whatsoever. Symbos is free and always will be. If at some point somebody wants to charge for an app then thats up to the author ???? But symbos at core will be free. The source could still be opened and Prodatron could act like a benevolent dictator and be open for pull requests. If the submitted patches are not OK, he simply doesn't integrate them. If they are, he does. There will then be a risk that it is forked for specific systems... but the question is whether that will really get traction. At least something could be done to continue SymbOS when Prodatron takes a long break again or gets hit by lightning or something. That alone would make it worthwhile, wouldn't it? Also, if the source is open, other people could learn from it or (if allowed) use portions of it for other purposes. The worst thing that could happen from that is that more software will be developed for Z80 systems... not bad, right? So, for me, defending the publishing of MSX sources is a very theoretically opinion. The benefits just won't happen. People won't continue the work. And I also don't believe the sources will be read for educational purposes. We should just be glad there is a Prodatron working on this OS. And if he quits, it's over. Latok, I love you man, but I can’t disagree more with you here, in every regard . Can you give me examples of MSX software from which the sources have been released by the initial developer and later picked up by other programmers and developed further? I think you it’s a bit unfair to compare with projects that had a post-mortem source release. Joining an active project and community is much more interesting than to continue an abandoned one all by your self. They weren’t abandoned for no reason. But, if you want an example: Moonblaster. Several useful mods are created (e.g. MIDI and OPL3 support), and TNI’s MoonSound Music Studio is based on it. The 1chipMSX’s firmware is also the result of many people collaborating, we would all still be using version 1.0 had the source been closed. Of course openMSX is also a succesful ongoing open source MSX project. Among my own projects, my Glass assembler has recently been integrated in the OpCode IDE and the author has also expressed interest in contributing. For VGMPlay I’ve collaborated with l_oliveira, he has made an adaptation to work with some homebrew sound modules, something that would’ve never been possible if VGMPlay hadn’t been open source. There’s also positive effects not directly contributing to the software itself; I’ve pointed several people to Synthesix and VGMPlay source code as reference implementations for sound chips, MIDI interfaces and certain programming patterns. 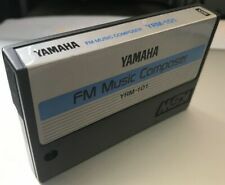 I’ve looked at MB1.4 source code to help me implement sample loading for MSX-AUDIO. I’ve learned a lot of things by studying disassembled BIOS source code. Most definitely, source code is read by me and many others. So, I want to add a voice of support for an open-source project as well. For me being able to see the source would be very educational I think and it would give me better insight in the system. Also support for hardware that you don’t own yourself can be added by 3rd parties (e.g. ObsoNET), and once someone does you’ve probably earned a permanent contributor. I wouldn’t be scared of forks, typically people want to collaborate and want their changes to appear upstream if it is open to contributions. And honestly, if you expect that 5-10 versions would appear that means there would actually be a lot of interest in it! I would see that as a good sign, rather than a bad one… Of course it is entirely up to the SymbOS team :), but I think it would be a good idea. And actually this is not about SymbOS alone — I wish a lot more MSX projects would consider going open source! There’s nothing to lose, and a lot to gain for both the projects and the community as a whole, in my opinion. If the source is closed, the benefits will definitely not happen. If it's open, they *may* happen. I don't see how it could be negative. There's only a potential for positive effects. But, of course, it's all the author's choice. Just stating my opinion here. It doesn't change anything about how great SymbOS is. SymbOS is looking really promising!! I tried to replace the existing SymbOS 2.1 files with the ones from the SymbOS 3.0 beta archive, and now my SymbOS hangs after booting with a blank desktop. I only see the menu bar and mouse cursor, but the system is frozen... Is there an actual 3.0 beta installer disk? Thank you!! On that page you can find a manual as well. Use symsetup.com in msxdos to install symbos. Do you have a mass storage device? Because that would be handy. Please remove the old installation and start clean. If you need any help just let us know. That is the perfect! I hope that you're able to install it! Please let me know if it was working yes or no or if you need help! Yes, I just installed SymbOS 3.0 beta with no problems! The system "feels" a bit speedier and I'm loving the updated features like right click on the desktop, the menu trees in the Start Menu and the blue color of the window borders (instead of orange!) I'm looking forward to using the networking! Yes! The content of the forms (Windows) are now default blue. But You can change the color in the color You like. Im glad you like the new layout. Prodatron did a nice job on all the new features. The gr8net is a very cool device! You can use the SD card from the gr8net as well in Symbos. Currently I am working on a network boot disk which boots symbos from your gr8net using internet only. 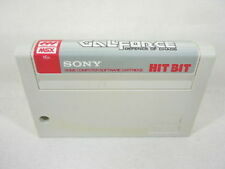 Then only gr8net cartridge is needed in your msx and you can use gr8net sd and network! I see that you are from Japan.. I'm sorry but kanji is not supported currently. Prodatron is working on the final version of 3.0 which has some new features for keyboards as well. Then it is possible to save and load keyboard layouts. Is MSX still used a lot in Japan? And are still meetings? That network boot disk sounds like a great idea! Actually, I'm in Osaka at the moment, so I'm not too sure about MSX meetings (they might still be in Tokyo). I'll be moving to Tokyo later this year, though! I've seen a lot of MSX equipment and games in certain specialty shops like "Game Kanteidan" in Nipponbashi, Osaka and "BEEP" in Akihabara, Tokyo. "Super Potato" retro game stores in Osaka and Tokyo have mostly MSX games and not really any hardware. 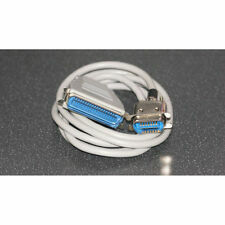 The "BEEP" shop specializes in retro computers like MSX, PC-8801, PC-9801, Sharp X68000, etc. I received my GR8NET today and I tried setting everything up using DHCP within SymbOS 3.0. I can connect to my router at 192.168.0.1 when testing the telnet application and I see the Tx and Rx LEDs flashing when I type on the keyboard while connected. However, I only get a "Server not found" message when testing the SymZilla browser. I tried the addresses "www.symbos.de" and "www.google.com"... Is this version of the browser capable of connecting to websites? Hi Protoman, it's an honor for me to have a SymbOS user in Japan, the origin of the MSX! You are right, SymZilla is currently not able to do network connections. It was written before we had the first working network daemon. Thanks to EdoZ, who is currently creating DOX-based website, I will probably add real network connection to SymZilla very soon. But it is very nice to hear that you were able to use it all!